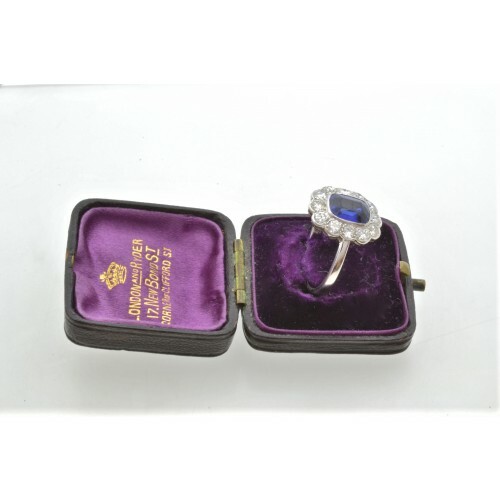 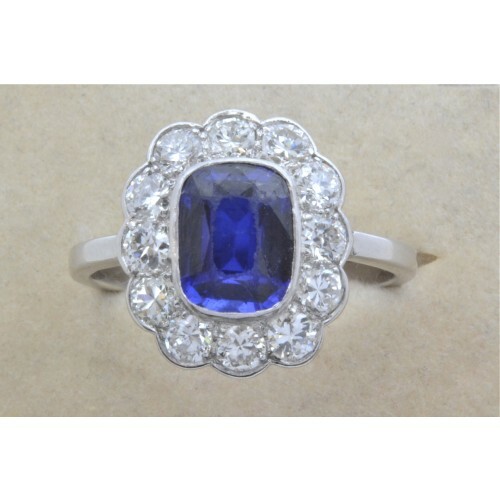 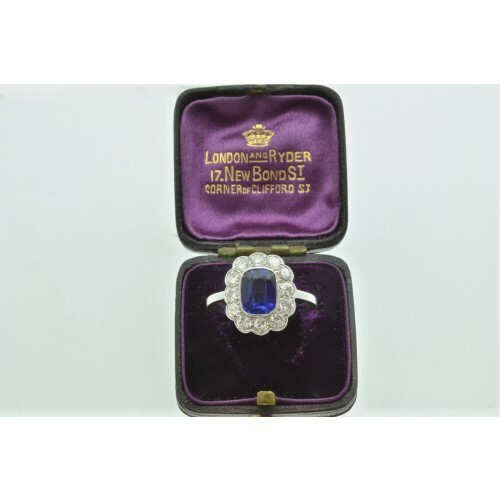 Antique 18 carat white gold sapphire and diamond cluster ring having a cushion shaped centre stone surrounded by 1.2 carat diamonds, H colour and SI clarity in a rub-over setting. Treated sapphire. 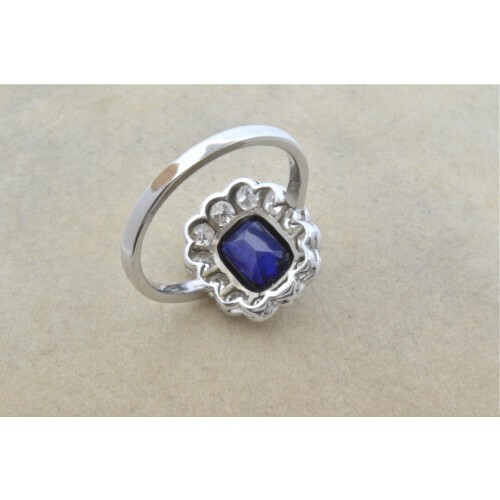 The ring sits very flat on the finger, designed for ladies who wore gloves.